The Executive Committee of the Business and Professional Women’s Association of Bermuda [BPW Bermuda] will be celebrating their 40th anniversary during the weekend of May 13 to 15, with a number of events set to take place. Panelists will include BPW International President Dr. Yasmin Darwich, Catherine Burns, and Cordell Riley. 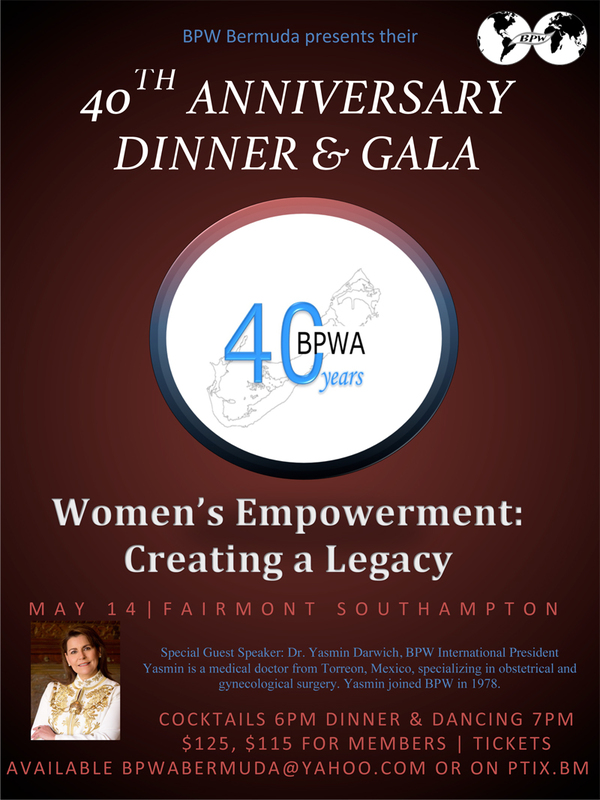 That evening, BPW Bermuda will host a formal gala event at the Fairmont Southampton, where Dr. Darwich will deliver the keynote address. The gala will also honour BPW Bermuda’s Woman of the Year and the Lifetime Achievement Award will be presented to a deserving recipient. “Although we look to celebrate our achievements for the past 40 years, we are aware that there is still much work to do in the interdisciplinary fields of women’s issues and equality; it is with steadfastness and tenacity that BPW Bermuda will continue to play its part as we seek to develop and empower the whole woman. Tickets for the Breakfast and Gala are available at ptix.bm or by emailing bpwabermuda@yahoo.com. Special pricing is available if tickets to both events are purchased. 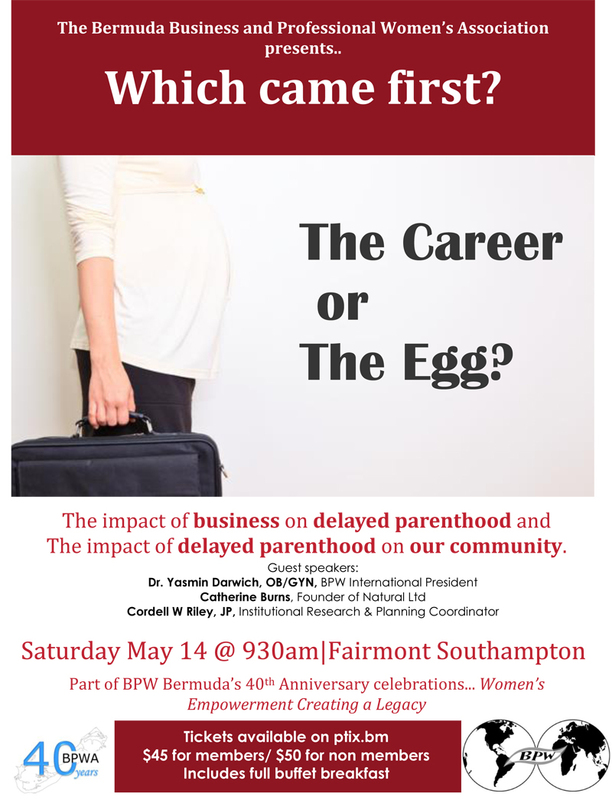 For more information on BPW Bermuda’s 40th anniversary events, email bpwabermuda@yahoo.com or visit Facebook.